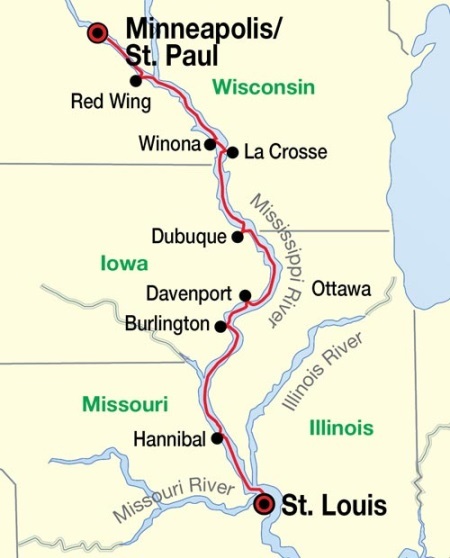 Take in the beauty of the river as you make your way from Hannibal to Davenport. Join other passengers in our beautiful common areas or simply relax on the sun deck. St. Paul is a thrilling place to end your adventure on the Mississippi River. History buffs will enjoy a walking tour of Summit Avenue, which showcases gorgeous historic mansions built in the late 1800’s. St. Paul’s enchanting art galleries, world class museums, and entertaining stage performances will capture your imagination. End the day by visiting Mounds Park, where visitors are treated to a beautiful panoramic view of the city.